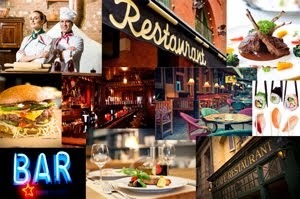 MiamiFoodReview.com is the premier online food channel for the Miami Metro Area. Our goal is to provide very specific and very local content for our visitors. We are all about food, restaurants, chefs, recipes, bars, night clubs and anything and everything related to the local Miami food and entertainment scene. If you are looking to reach the local Miami market which includes all surrounding neighborhoods and cities which make up the Magic City, then your choice should be the MiamiFoodReview.com. You will find that we can tailor your advertising and marketing campaign to fit your budget and you will not be constrained or committed to any long term contracts. We are flexible and will work within your budget and objectives. A key component of our advertising offerings includes an exclusive social media marketing and branding campaign that will help you reach thousands of users that are looking to visit Miami from around the world, these users will be reached through our established social networking presence at portals like Facebook, Twitter, Google Plus, Pinterest, Linkedin, Instagram, Foursquare, Stumbleupon, and more than 100 other social networks. We can also include your advertising at various of our sister sites and client sites which are looking for further exposure and content. We also offer our social media “one-to-one” packages, these include establishing a unique online branding image for your company, product or service throughout the main social media platforms which include Facebook, Twitter, Foursquare, Google Places, Linkedin and Stumbleupon. We will provide you with daily, weekly or monthly exposure within the social media networks. Feel free to contact us today where we can meet with you and explain the different options you have and you will soon find out how simple it is to work with us. Our advertising rates start as low as $40.00 per month, we have programs to fit all budgets, no long-term contracts – although we recommend you run a campaign for at least six months to see the results. The MiamiFoodReview.com offers a wide range of ad placements available across our site, and sister sites, including ad units, video ads and custom integration of ads within our posts and social media platforms. Following are specs and examples.